← ride in the rain. 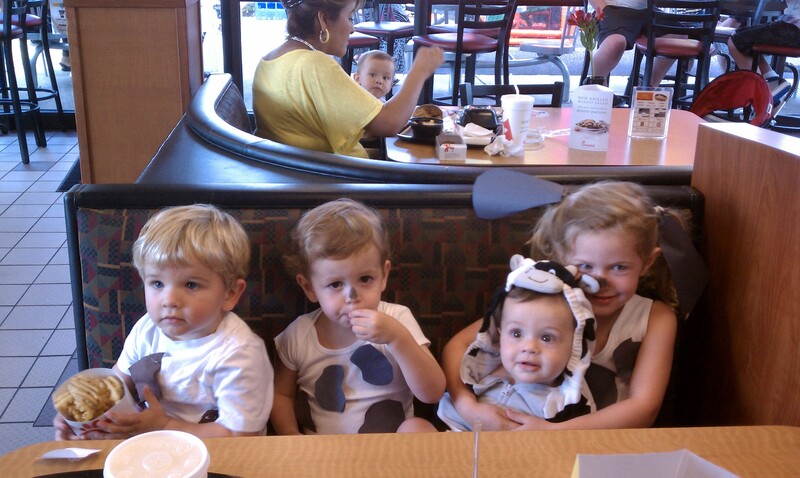 On Friday, Jack and I got decked out in our cow gear and headed to Chickfila for cow appreciation day. 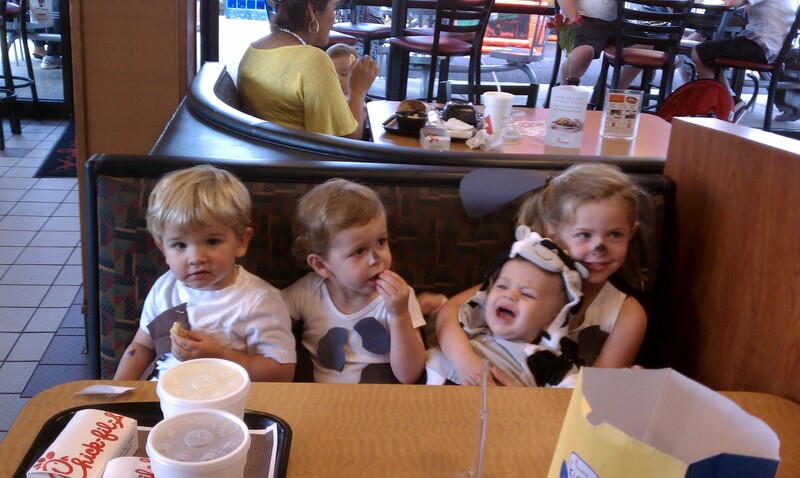 And by decked out in our cow gear, I mean we had the most pitiful cow costumes possible. A couple of hours before we were supposed to meet our friends there, I realized that I didn’t even have construction paper to make our spots. So I went digging through our closets looking for a black garment to cut up. 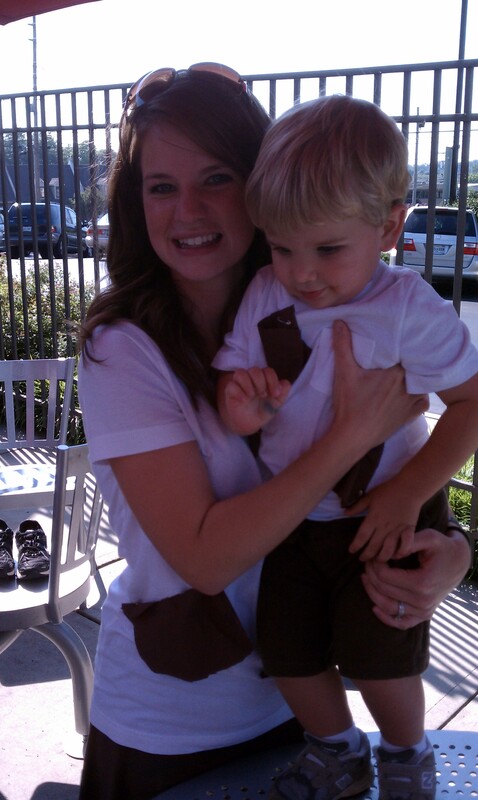 Due to a lack of resources, Jack and I were brown cows. But I was definitely willing to cut up an old brown pillowcase and safety pin it to our shirts for some free chicken. We had a great time eating and playing with our friends.